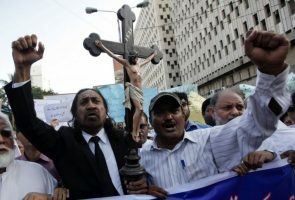 U.S. Vice President Mike Pence has pledged his support and payers for persecuted Christians around the world, as well as to members of other religions persecuted for their beliefs. 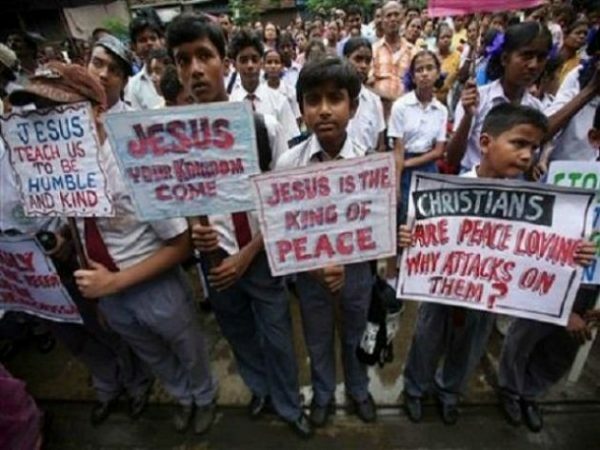 Young Christian Indians rally against persecutions. Photo: Reuters/Jayanta Shaw. “Your faith inspires me, it humbles me, and it inspires all who are looking on today.” Pence said. He was speaking to persecuted Christians including Fr. 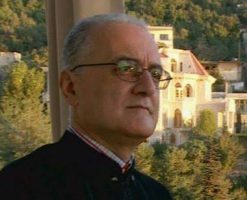 Douglas Bazi, a Chaldean Catholic priest from Iraq who survived a 2006 kidnapping and torture before ministering to Christian refugees fleeing ISIS in 2014. The vice president on May 11 addressed the first annual World Summit in Defense of Persecuted Christians, hosted by the Billy Graham Evangelistic Association in Washington, D.C., Catholic News Agency reported. The summit brings together Christian leaders and groups from all over the world, including clerics of Protestant, Orthodox, and Roman Catholic churches, current and former members of the U.S. Congress, and representatives of Open Doors USA, Samaritan’s Purse, and the 21st Century Wilberforce Initiative. Billy Graham Evangelistic Association and Samaritan’s Purse President Franklin Graham spoke at the summit, giving a summary of the suffering faced by Christians around the world. “As it has been said, the persecution of one Christian, affects us all,” Graham told the 130 Christian leaders gathered in the U.S. capital, Christian Headlines reported. Graham spoke of Coptic Christians in Egypt who have been faced increased persecution and Russian Christians who faced persecution under a Communist government and who are still facing discrimination today. “Other Christians face persecution in societies that are riddled with corruption and lawlessness, drug cartels. Or, they are killed or imprisoned because of civil wars or tribal conflict,” he continued, according to The Christian Post. It was meant to bring attention to the plight of persecuted Christians and advocate for their rights in countries where they are targeted or harassed for their beliefs. In attendance were persecuted Christians from 130 countries. Pence honored Cardinal Donald Wuerl of Washington, D.C. and Archbishop Christophe Pierre, Apostolic Nuncio to the United States, from the stage. He also honored Metropolitan Hilarion of Volokolamsk of the Russian Orthodox Church and Metropolitan Tikhon, Primate of the Orthodox Church in America. “Each one of you bears witness to the power of truth to transform lives,” Pence told them. The summit was held at a time that millions of Christians face violence, harassment, and imprisonment in more than 100 countries. Pence noted recent Palm Sunday bombings of Coptic churches in Egypt and the destruction of churches in Iraq as examples. “I believe that ISIS is guilty of nothing short of genocide against people of the Christian faith, and it is time the world called it by name,” he said. 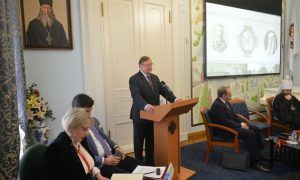 The Russian Orthodox Church’s Metropolitan Hilarion of Volokolamsk, chair of the Moscow Patriarchate’s Department for External Church Relations, also addressed the summit on May 11. “Yet the persecutors are not those moderate Muslims, but extremists and terrorists hiding behind Islamic slogans and Islamic rhetoric,” he asserted. The Orthodox metropolitan called on “Islamic leaders throughout the world to condemn terrorism as something that contradicts the teachings of the Quran,” asking “may this clear and precise condemnation resound from the lips” of leaders of countries like Saudi Arabia, Iraq, Iran, and Turkey. Inter-Christian and inter-religious dialogue is key to the international community uniting to aid persecuted Christians, he insisted.